On Tim Robinson's map of Connemara, Seanadh Bhéara (Shannavara) only appears as a townland name. This hill is named Cnoc Úraid. A legend predicts that Cnoc Úraid / Oorid Hill will be the site of the last battle for Christianity. 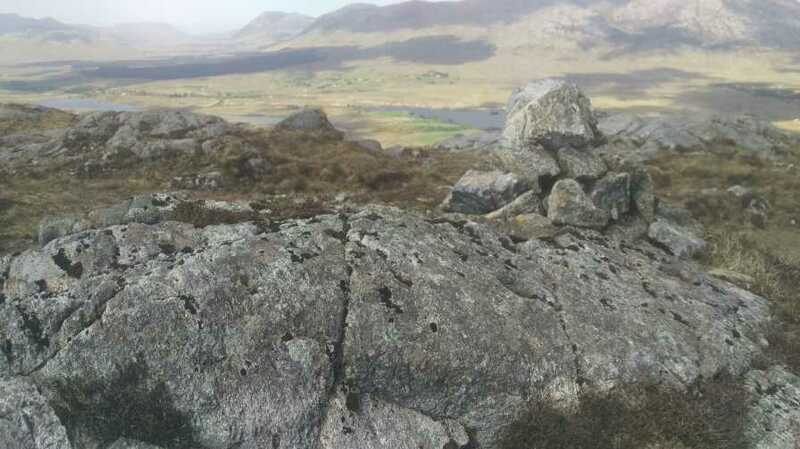 [TR] Seanadh Bhéara is the highest hill in the South Connemara area and the 1035th highest in Ireland. Picture from sandman : MV Summit. A Tale of Two Cairns.